As far as educational TV shows designed to make science seem appealing to kids go, Bill Nye The Science Guy probably had one of the most iconic theme songs of all time. 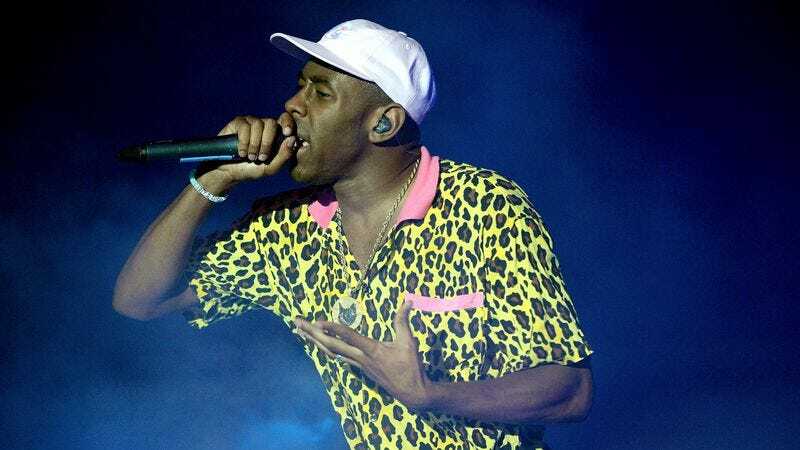 That means the bar is set pretty high for Nye’s new series, Bill Nye Saves The World on Netflix, so he has turned to Tyler, The Creator in hopes of recapturing the magic of his original intro. This comes from Fact Magazine, which reports that Netflix has released a short teaser showing Nye and Tyler talking about the original show and its theme, with Tyler noting that the old one was “really sick” and that it could’ve been a house song if it didn’t have the snare drum. The video is very fun, and it’s clear that Nye and Tyler have some entertaining—chemistry—together, with Nye specifically noting that he chose Tyler to do the theme because he “got the beat” of the theme song and new how to update it properly. You can see the video below, and Bill Nye Saves The World will premiere on Netflix on April 21.